The Southeastern Conference and ESPN have signed a 20-year agreement through 2034 to create and operate a multi-platform network, which will launch in August 2014. SEC Commissioner Mike Slive and ESPN President John Skipper made the announcement with several SEC coaches on hand in Atlanta, GA., including Gary Pinkel and Frank Haith. The new network and its accompanying digital platform will air SEC content 24/7 including more than 1,000 events in its first year. 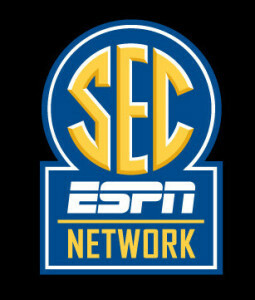 The network will televise approximately 45 SEC football games, more than 100 men’s basketball games, 60 women’s basketball games, 75 baseball games, and events from across the SEC’s 21 sports annually. Programming will also include studio shows, original content such as SEC Storied, spring football games, signing day and pro days coverage. Hundreds of additional live events from various sports will be offered exclusively on the digital platform. AT&T U-verse® has been secured as the network’s first national distributor and their subscribers will have access to an unprecedented amount of SEC content across all platforms. The network will originate from ESPN’s Charlotte, N.C., offices with additional staff located at the company’s Bristol, Conn., headquarters. From MUTigers.com, comments from Mizzou athletics.